As a certified organic operator you put enormous effort into maintaining the integrity of your own organic systems, but it’s important to remember that your efforts to verify the integrity of your suppliers are just as vital to consumer confidence and the health of the organic industry. 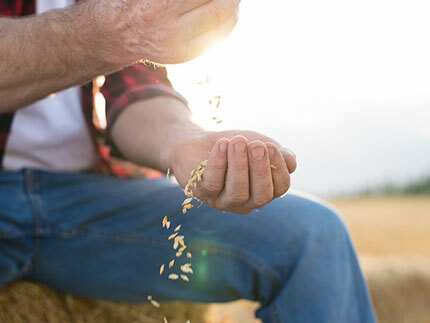 Whether your suppliers provide you with seeds or processed ingredients, you make sure that the inputs to your process have a history of organic integrity (called a chain of custody) that is documented every step of the way. The usual way to verify the organic integrity of your suppliers is for you to ask to see their organic certificates, but what about your suppliers who are not certified? Under the U.S. organic program (NOP), not all operators need to be certified. For example, operations such as brokers who sell you organic products that were already packaged in a protective container before they received them are often uncertified. Warehouses that store packaged products are also often uncertified. You might choose to conduct regularly-scheduled or surprise audits of your suppliers. If the original supplier is certified by QAI or certain other certifiers, you are able to request a transaction certificate (TC) from the original supplier for this batch of product. You could request full disclosure from the broker of all information related to its certified organic supplier. At minimum, you will need some traceability documents. To help you to make this verification task as easy as possible, QAI provides an Uncertified Handler Affidavit, which is a standard form that you might consider using. Please ask your supplier to complete this form and submit it to you one time or periodically. Whatever verification method you choose, it must prove two things about the inputs to your organic process: (1) that they were produced and packaged in a certified organic system and (2) that after production their organic integrity was continuously maintained throughout shipping and warehousing right up to the moment you received them and took direct, formal control and responsibility for their organic integrity. To prove that the products you received came from a certified source, you need documentation that the source was certified and documentation that the product you received originally came from that certified source. To prove that the products you received were shipped, stored and handled with integrity after their original production, you need documentation of that integrity. This is where the affidavit can be an important component of your verification efforts. By having your uncertified suppliers complete this form and submit it to you every year, you ensure that your uncertified suppliers go on record declaring compliance (for themselves and their subcontractors) with all necessary aspects of the organic law. Here’s an example illustrating one way that this QAI form, the Uncertified Handler Affidavit, could support your verification efforts. An organic energy bar manufacturer in New York purchases pre-packaged, wholesale almonds from an uncertified broker in New Orleans who bought the almonds from an almond farmer in California who hired a certified packaging facility to package and ship the almonds. The almonds traveled from the California certified almond facility to an uncertified warehouse in Chicago that was sub-contracted by the broker in New Orleans. A few weeks later the almonds were then sent from the warehouse in Chicago to the energy bar manufacturer in New York. The illustration below shows how these almonds moved from California to New York by way of two uncertified operators in the middle of the U.S. In this scenario just one affidavit from the broker in New Orleans provides documentation that helps you to verify the organic integrity of the ownership transfer of the almonds (through New Orleans) and the organic integrity of the custody of the almonds as they physically transit from California to Chicago to New York. In this example the final certified handler (the energy bar manufacturer in New York) is responsible for verifying the organic status of the almonds back three steps in the process—back to the last certified organic handler. This can be a challenging task because by the time the almonds get to the facility in New York, they have changed both ownership and physical location. In situations like this the documentation that often accompanies the final shipment to the processor’s factory (in this case the final shipment to the energy bar maker in New York) would be issued by the uncertified supplier (the broker in New Orleans). Does the shipping or transactional documentation you receive from a non-certified handler, such as in the example above, demonstrate that the exact product you received (i.e. same lot) came from the certified organic source matching the certificate you have on file? Please reach out to your QAI Certification Project Manager if you have any questions or just want to talk over your use of the QAI Uncertified Handler Affidavit. We always love to hear from you! NOP Instruction 4009 - Who has to be certified?